Software defined networking (SDN) is exploding. Start-ups like Big Switch Networks, Embrane and Plexxi are bringing innovation and excitement to the nascent industry, while established networking giants such as Cisco and Juniper – who, of course, have huge businesses built on selling networking hardware to protect - having been buying their way into the SDN space. Cisco has snapped up vCider and Meraki among others and Juniper acquired Contrail Systems, a start-up with no customers and no shipped products, for $176m. Companies looking to become end-to-end enterprise IT suppliers, including IBM, HP and Dell have also dipped their toes in the SDN waters. In July 2012, VMware acquired Nicira, the hottest SDN property around at the time, for $1.2bn to boost its software-defined datacentre strategy, and this week announced details of its first Nicira-based product. The analyst houses have also had their say on SDN’s rise. IDC claims the market will reach $3.7bn by 2016 and account for 35% of Ethernet switches in the datacentre, up from what it describes as “negligible penetration” in 2012. Gartner has not yet put a financial figure on the SDN market, but its 2012 Hype Cycle for Networking and Communications Technologies called it a ‘trigger technology'. An altogether more ambitious forecast was recently put together by Plexxi, its venture capital backer Lightspeed Ventures and SDNCentral, an online community for the SDN industry. 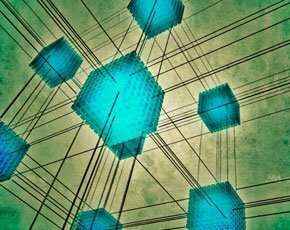 Their data revealed a potential SDN market far larger than anything predicted before. By 2018, it claimed the SDN market could top $35bn, driven by cloud computing, mobility and big data. VC investment in SDN hit $454m in 2012, up from $202m the year before and just $10m in 2007. Matthew Palmer, a partner at SDNCentral, said the astronomical figure was reached by looking beyond current deployments. “The market for SDN is growing faster than just about anyone predicted,” he said. But, while there is a lot of excitement about SDN, it is still an emerging and relatively immature industry. Despite all the hype, many businesses are holding back on it, waiting instead to see how SDN develops over the next few years to establish exactly how it will benefit their business. Unsurprisingly the industry is doing all it can to push the SDN message. In April 2013 The Linux Foundation announced the creation of The OpenDaylight Project – a framework of open source technologies that aim to increase adoption and innovation of SDN. The aim is to create an open platform that companies and individuals can contribute to and work together on. Initially OpenDaylight will support OpenFlow as that’s the standard most networking vendors are going with for SDN, but the group hopes to expand its support for other protocols as they emerge. Members include traditional network suppliers Cisco, Juniper Networks and Brocade, as well as other big tech firms such as IBM, Microsoft, Citrix, VMware, Dell, HP, Intel and Huawei. Smaller companies like Plexxi, Plum Grid and Nuage Networks are also members. In total 27 companies have so far contributed. The project, which is open to anyone, will be funded via annual fees: platinum members will pay $500,000 per year and get a place on the OpenDaylight board of directors, gold members will pay between $50,000 and $250,000 per year and silver members will pay between $10,000 and $20,000 per year. However, individual developers wishing to contribute to the roject will not be charged. “The world has learned that collaborative development can quickly drive software innovation, especially in fast moving markets,” he added. Despite only going for a few months, the list of projects already underway at the OpenDaylight Project is impressive. Details on the project’s Wiki shows the eagerness to develop end-to-end components needed for software defined networking. For example, an OpenDaylight Controller is in the works. It is described as a “highly available, modular, extensible, scalable, and multi-protocol controller infrastructure built for SDN deployment on modern heterogenous multi-vendor networks.” The controller is what enables IT to deploy the software that controls the network and is the central element of software defined networking, so it is no surprise to see it is one of the first projects undertaken by OpenDaylight. Proponents of software defined networking claim open source controllers, such as the one being worked on by The OpenDaylight Project, will mean networks become easier to control and more flexible and agile. Instead of manually reconfiguring an individual router or switch every time a change is needed, IT can simply make the changes via a centralised management console and push them out to the network. Other projects underway include an OpenFlow plugin, a network virtualisation platform and a Virtual Tenant Network – an application that provides a multi-tenant virtual network on an SDN controller. These are all listed in the “bootstrap” phase of development, meaning they are just getting started. After that they will be considered “mature”, “core” or “top level” projects. The OpenDaylight Project is only just getting off the ground, so analysing its impact up to now is a difficult task. But what is clear is that is has the backing of a huge proportion of the networking industry; an industry which seems certain to be profoundly shaken up by the emergence of software defined networking. As Jim Zemlin points out, collaboration is the key.